Another attempt to dodge the rain in the Cascades and one of the last few places west of the Columbia River to visit, according to my guidebook. The drive on the washboard road leading to the gate was nothing major, but beyond the gate it was really bumpy (even in my SUV) all the way to just below the pullout parking area. So if you have a smaller car, be sure to drive slowly to avoid getting a flat tire from the protruding rocks all over. 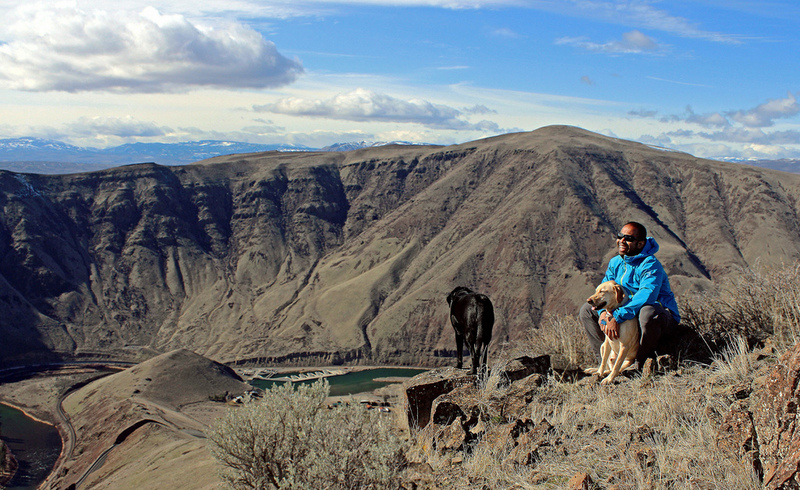 The hike provided great views into the Yakima Skyline Ridge/Rim as well as up and down the Yakima River Canyon. One can walk northerly until they can’t walk any further. The turnaround point is about two miles north of the parking area. We were the only ones there and had the whole place to ourselves. Another sunny and windy day in eastern WA!